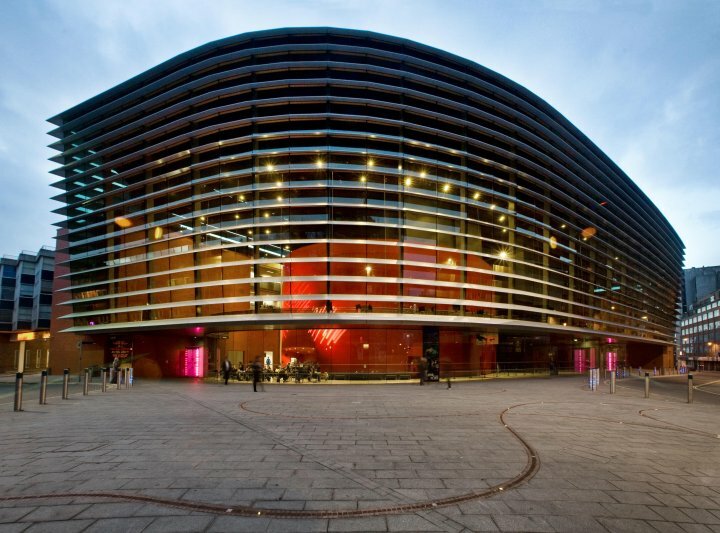 Curve is a spectacular state-of-the-art theatre based in the heart of Leicester's vibrant Cultural Quarter. Opened in 2008 by Her Majesty The Queen, our award-winning building, designed by acclaimed architect Rafael Viñoly, offers a completely unique visitor experience. Unlike any other theatre in the UK, it has no traditional backstage area. Audiences can enjoy the full theatre making process, peek behind the scenes and maybe even spot an actor or two dashing from the stage to their dressing room or enjoying a coffee in the Café. Parking available in the NCP car park next to the Curve on Halford Street. Disabled parking spaces are available on Southampton Street opposite the Curve and in the NCP car park. The drop-off point for the Curve is on Rutland Street. Spaces for wheelchair users are available in the Theatre, Studio and RR2. All public areas are also accessible to wheelchair users. There are accessible toilets throughout the Curve including an adult hoist and changing facilities. Working dogs are welcome.